Rev. 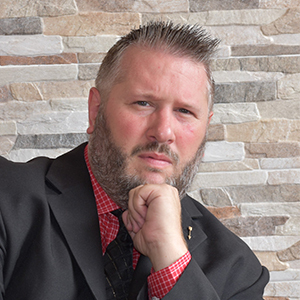 Dr. Aaron Anthony was first trained and equipped under the ministry of Dr. Rod Parsley at World Harvest Bible College (Now Valor Christian College). He received his Masters Degree in Biblical Studies and his Doctoral Degree in Christian Leadership from Logos University. Under the mandate given to him by the Lord in 1993, Dr. Anthony ministers as an Apostle, focusing in the areas of Christian leadership, church administration, and evangelical outreaches. In ministry since 1993, his passion for the Lord and his boldness in preaching continue to inspire the next generation to go forth into the world as flaming arrows spreading revival everywhere they go! End Time Harvest Bible College will transform your life into a flaming arrow shot forth into this dry land, releasing REVIVAL FIRES everywhere you go! After earning his Bachelor of Arts through the University of Legon, Rev. 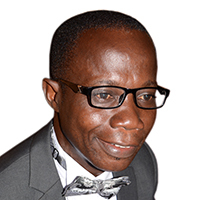 Agbakli pursued his biblical training through Assemblies of God Theological Seminary – Southern Ghana. Rev. 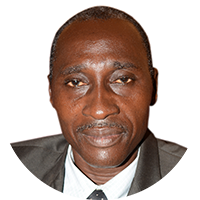 Agbakli’s relationship with the Lord, coupled with his sensitivity to the Holy Spirit, enables him to effectively minister and release mighty impartations in chapel and classroom settings. In ministry since 2004, he is a gifted teacher who operates under a healing and prophetic anointing. In addition to his office held at ETHBC, Rev. 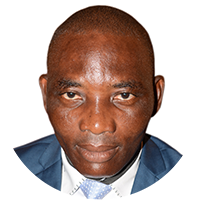 Agbakli currently serves as an Associate Pastor with Christian Faith Church International in Sekondi. ETHBC is a college focused on the entire personal development of our students, thus allowing them to make great impact on the field. Ministries are now demanding that their workers be trained at ETHBC. Rev. Dr. Joseph William Fiifi Nelson received his Doctor of Divinity through American Bible University. 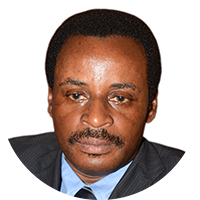 He is the Vice Chairperson for Faith Alive Christian Ministries and is the Senior Pastor for the Takoradi church. Since 1992, Rev. Dr. Nelson has inspired the Body of Christ through his practical delivery of God’s Word both within Ghana and abroad. A better way to be what Christ wants you to be is to apply His strategy. If you are looking for hands-on training and discipleship which develops you more quickly and makes you ready for ministry, then ETHBC is the place to acquire the fire! Evangelist Adams Grant received his Associate’s Degree from Logos University through End Time Harvest Bible College. Evangelist Grant’s zeal for the lost and his commitment to mobilizing all the outreaches compels the student body to go forth and fulfill the Great Commission on a weekly basis through street evangelism and hospital and prison ministries. In addition to serving as the Outreach Director, Evangelist Grant has served as the District Prayer Coordinator for the Christian Faith Church International for the past five years. He has been serving in ministry since 1993. The impact of the crusades has been great. Divine healings occur, souls are won to Christ, and local churches come together in a spirit of unity. Rev. Festus Adjei-Mensah received his Bachelor’s Degree in Biblical Studies from Logos University through End Time Harvest Bible College. Rev. Adjei-Mensah has served as the Senior Pastor of Light of the Gospel Outreach Ministry since 2012. Apart from his pastoral duties, Rev. Adjei-Mensah’s heart beats for the lost. He has been actively involved in various outreach ministries since 2007. The only place to be equipped, trained with practical ministry skills, and acquire the fire of the Spirit is End Time Harvest Bible College. Bishop Israel Duke-Ackon is a graduate of the Barnabas Consortium in Professional Counseling, where he earned a certificate in Advanced Level in Counseling. In ministry since 1983, Bishop Duke-Ackon is the General Overseer of Living Praise Chapel International. His ministry focus specializes in mentoring the up-and-coming ministers, as well as ministering to a well-rounded family life. ETHBC graduates have made tremendous impact in ministry. In particular, They have been changed in the way they think about ministry as well as how they go about ministry. There are some I continue to mentor and hold accountable as they pursue their ministry. Rev. 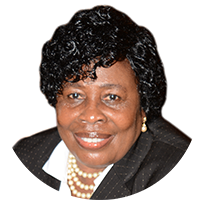 Mrs. Elizabeth Benedicta Ackah a graduate of the Christian Life International Bible School, where she earned a Degree in Ministerial Arts. Rev. Mrs. Ackah has served in ministry since 1982 and is the founder and General Overseer of Sheep Gate Triumphant Church International, New Takoradi. Rev. 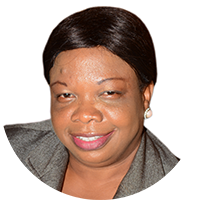 Mrs. Ackah carries an Apostolic mantle, and focuses on church administration. Students from ETHBC are affecting their communities after they have graduated. I highly recommend anyone who has been called by God to enroll in this great school. Rev. Ben Allen Mensah is a graduate of Fountain Gate Bible College, where he received his Diploma of Theology. Rev. Mensah has been in active Christian ministry since 1987. 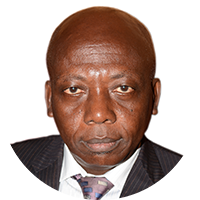 He presently serves as the National Executive Council Member of Christian Faith Church International and is Senior Pastor of Christian Faith Church International for the Tankokrom church. Rev. Mensah is a gifted and anointed teacher of the Word of God and specializes in leadership and discipleship training. ETHBC is well structured, highly disciplined, and has a well-intended focus in producing graduates of integrity who are well equipped to impact society with Christ-like character and sound biblical knowledge. Rev. 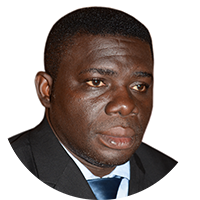 Daniel Djanie Kotey is a graduate of the Philippine Baptist Seminary, where he received his Bachelor of Theology. Rev. Kotey has been in active Christian ministry since 1998 and is the Senior Pastor of Christian Restoration Ministry International in Takoradi. Rev. Kotey ministers under the office of a Teacher, and his teaching ministry focuses on discipling the Body of Christ, developing leaders for ministry, and building up the family life. Before entering Bible College, you should be sure of your calling and purpose. Then, carefully consider the quality of ETHBC’s curriculum, lecturers, and learning environment. Rev. Frederick Owusu Tenkorang received his Bachelor’s Degree in Biblical Studies from Logos University through End Time Harvest Bible College. Serving in ministry since 1993, Rev. Tenkorang recently founded Royal Generation Church in Takoradi. He is a widely acclaimed teacher of the Word of God, and his desire is to see believers trained and discipled in God’s Word. Success in every field depends on how well one is equipped. Everyone entering ministry needs to desire to be well-equipped. As Jesus equipped the twelve disciples before releasing them into ministry, so you must also be trained and equipped. As a product of ETHBC, I can boldly testify that you can never be the same after passing through this school unless you have chosen to remain the same. As a teacher, I have had many students call to express their thanks and gratitude for the impact made on their lives during their study in ETHBC. Rev. Isaiah Brew received his Bachelor’s Degree in Biblical Studies from Logos University through End Time Harvest Bible College. In ministry since 1994, Rev. 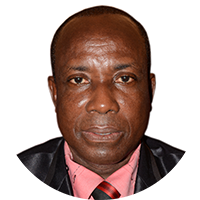 Brew is the Senior Pastor of Assemblies of God Atlantic Church in Takoradi. Rev. Brew ministers under a strong prophetic mantle and is a man who is bent on serving the Lord with all his heart. He is a minister whose fire for the Lord is contagious and through his pulpit is shaping men and women for change. Effectiveness in ministry requires adequate knowledge of God. It is a sure way to do exploits! The majority of our graduates have the ability to start their own ministries, both within Ghana and in foreign nations. Many others are being used by God in the area of revival, touching the world around them. Rev. Kofi Amoah-Baah received his Bachelor’s Degree in Biblical Studies from Logos University through End Time Harvest Bible College. Rev. 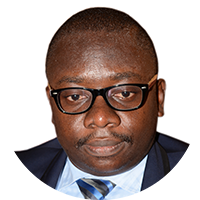 Amoah-Baah has served in ministry since 2001 and is the Senior Pastor of Latter Rain Family Chapel, Fijai Branch. Rev. 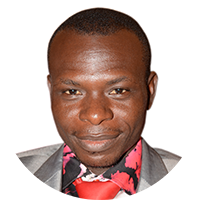 Amoah-Baah has a revivalist mantle, in which he expands his ministry within Ghana and overseas. He specializes in leadership development, youth ministry, and revival services. ETHBC establishes students in the Word of God, which is extremely important these days, as many have deviated from the five eternal purposes of ministry. Rev. Mrs. Diamond Duke-Ackon received her Bachelor’s Degree in Biblical Studies from Logos University through End Time Harvest Bible College. Rev. Mrs. Duke-Ackon has been in ministry since 2006 and has served as head of the Children’s Department for Living Praise Chapel International since 2010. She is a gifted teacher of the Word of God and has a heart for mentoring, guiding, and coaching young pastors. In addition, she loves to minister to women and inspires many through her practical teaching dealing with the marital home. Rev. Mrs. Duke-Ackon has a heart for foreign missions and has embarked on several mission trips to the nation of South Africa. Students have received a lot of impartations and have been transformed doing great things in the Kingdom of God. Many of our students have planted and founded their own ministries and are doing very well based on the ministerial training they have received. Rev. Mrs. Stella Aku Yawson received her Bachelor’s Degree in Biblical Studies from Logos University through End Time Harvest Bible College. Rev. 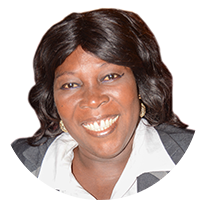 Mrs. Yawson has served in ministry since 1993 and is currently the Senior Pastor of Calvary Charismatic Centre, Kojokrom Branch. Rev. Mrs. Yawson is a dynamic pastor and teacher of the Word of God. Her desire is to empower women and train believers to be committed to the Lord. Enrolling at ETHBC will be a life-changing experience for you. You will clearly understand your calling and will also deepen your gifting. Rev. Jonathan Appiah received his Bachelor’s Degree in Biblical Studies from Logos University through End Time Harvest Bible College. Rev. 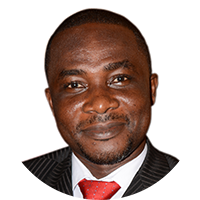 Appiah has been in the ministry since 2008 and is the founder and General Overseer of Eagle’s Wings Ministries located in Takoradi. Rev. 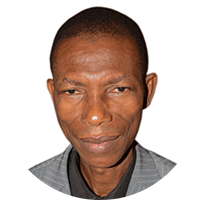 Appiah is a teacher of God’s Word with a burning desire to see men, women, and young people respond to the saving grace of Jesus Christ. You’ll come out of ETHBC not only a Bible student, but one who is empowered by the Spirit of God. ETHBC has more to offer than merely studying the Bible. All who will attend ETHBC possessing a teachable spirit will be molded and shaped to fulfill their calling.